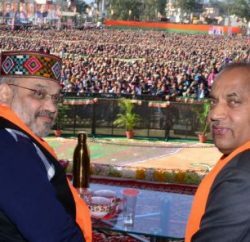 BJP vice-president Shanta Kumar welcomed Election Commission decision of election and said that the BJP was fully prepared for Assembly elections and claimed that it would form the government again. He said the party made efforts to field candidates with a clean image. He said corruption, rising prices and steep hike in LPG and diesel prices would be the major issues in Assembly elections. He claimed that the BJP had taken upon itself the task to make India a corruption-free country. According to him, people had high hopes from the BJP. He alleged that UPA-2 had disappointed and cheated the nation. 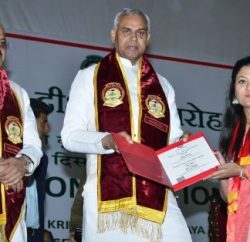 Shanta Kumar alleged that the country had gone bankrupt during the UPA regime and the Prime Minister was watching the rich get richer and the poor poorer.